Ah, so nice to have a nice long weekend at Easter. Even though we had a pretty busy weekend catching up with family and friends, I managed to squeeze in some time to make some cards. 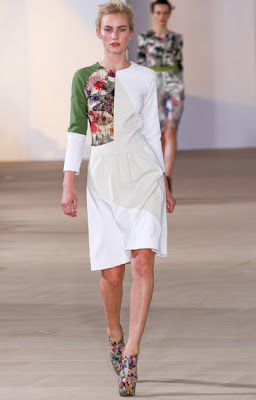 I came across a very interesting blog page about Runway inspired cards and was keen to participate in the current challenge. I used a white card as a background and a cream coloured card as a mat (although my photo may not show up the colours correctly). The paper is from Kaisercraft Sweet Nothings and it is so pretty I wanted to show off as much as I could without detracting from it. 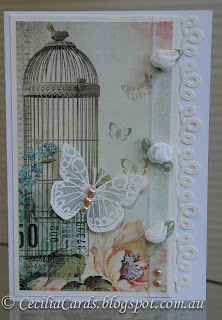 A vellum butterfly embossed in white and a sheer white ribbon with roses finished off the card nicely. There was no room for a sentiment as I can use this for a birthday or wedding card. 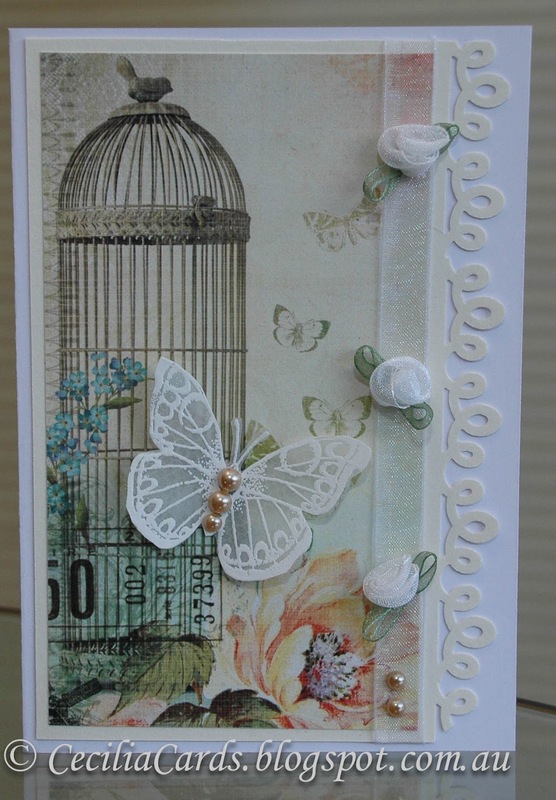 I am also entering this card into 'A Blog Named Hero' first challenge using my favouring HA butterfly stamp from Antique Flowers and Butterflies set. Voila! I used Bo Bunny Gabrielle collection to piece together this card. 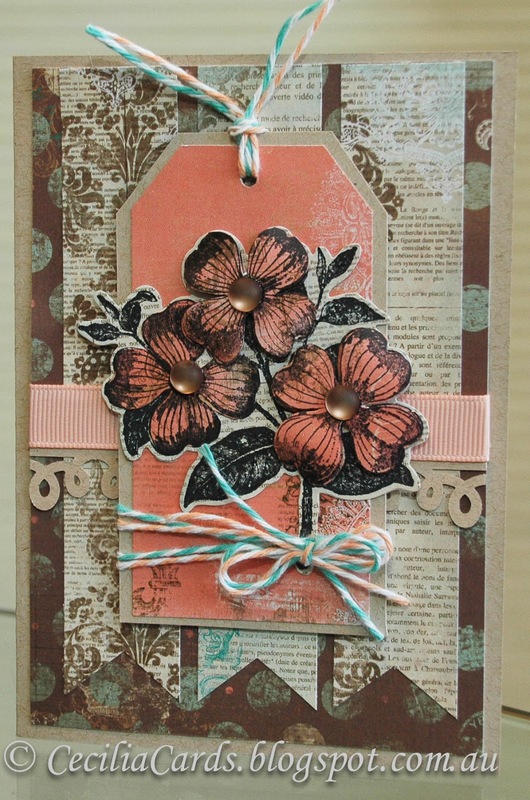 I also used another one of my favourite HA dogwood stamp, a card I made with this stamp has been submitted for publishing in the Australian Cardmaking, Stamping and Papercraft magazine. 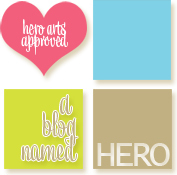 I also used my new Martha Stewart acquisition from the Paperific Expo in both cards and topped off with some gems from Hero Hues. 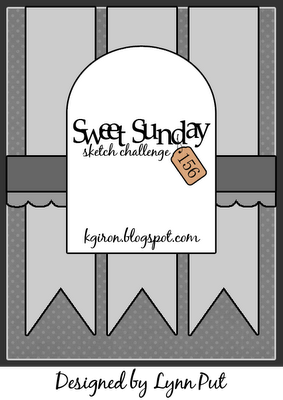 This card will be submitted in A Blog Name Hero - favourite HA stamp challenge and the Sweet Sunday Sketch 156 challenge. Again, I did not add a sentiment as the whole card seems too busy for one. This will be added inside the card. I am also entering both cards into the Simon Says Stamp - My Favourite Tool challenge, which is of course the good old Sizzix Big Shot, used for both cards. Both your cards are fabulous! Love your interpretation of the runway.. .I've been looking but would never have come up with anything as beautiful as this! Both great cards! I'm not well practiced at the shabby/chic or vintage look but I think you nailed it! Thanks Linda! Looks like we are going to have beautiful weather in Melbourne over the next few days! Both such beautiful cards, so elegant and classy, especially the white-ish one. You have such stunning details. Soft and stunning...I love it! Thanks for playing along with the Runway Inspired Challenge!